Welcome to our chess program that combines education with service and philanthropy opening a world of opportunities for student through becoming active learners by creating projects. This newsletter shares the many creative projects undertaken by students and the awards and honors won by our chess community. Next Tournament is at St Matthew in Hawthorn Woods on 14th December. 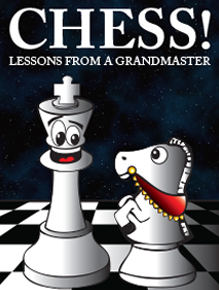 • Chess teachers Peter Abrahamson, Ethan Gagliano, Richard Ni and Nadine Said taught at chess clubs last school year. Assembly because of the long-standing projects conducted through CWB. More at: http://shulmanchess.com/local-projects. • Nadine Said created a Documentary Screening project for the documentary, “A Future for Meher” and raised $180 for the Maggie Gruber Computer Center in India. • Millen Srivastava did a documentary screening for MGCC at the Student Council at BHS and 80 students watched the documentary and unanimously voted to donate $500 for the Maggie Gruber Computer Center. • $50 donated by Aidan and Zander Kitchen through selling DVD’s of the documentary. • We follow the tradition of supporting both local and international charities at our tournaments where 100% of the proceeds from food sold. Our long-term sustained projects have won awards/honors/scholarships/college admissions for students. • Meher Hough School Tournament raised $4436.25 for educating Meher and $2000 for Maggie Gruber Chess Center. • Donation made to Chicago Chess Center of $300 from the chess camps and Dr Kiran Frey. • Scholarships worth $1000 donated for Sunny Hill Chess Club run by Ethan Gagliano and Alec Onker and adult volunteers along with GM Shulman and other chess teachers. • $1700 donated to the Hurricane Sandy rescue team from Barrington through a Simultaneous Chess Tournament held at the Salem Church in Barrington. GM Alex Goldin and IM Viktorija Ni also volunteered along with GM Shulman to play 60 players simultaneously. • Zein Bertacchi, an eternal volunteer for Chess since its inception will be catering meals for people. She will donate 20% of all proceeds towards the Maggie Gruber Computer Center bringing education and computer literacy to over 200 families from the lowest class of people. Please visit www.grandmastercooks.com for more information. Our program and many students have won awards/honors and recognition for this work. The World Championship match between Vishy Anand and Magnus Carlsen is two and a half weeks away. As was announced by FIDE, the Candidates Tournament that will provide next year’s challenger will be held 12-30 March 2014 in Khanty-Mansiysk, the Siberian city that hosted several World Cups and an Olympiad before. GM Shulman ties for 1st at the Michigan chess festival and ties for 1st place at the Midwest Class Championships. Be sure to visit our Chess Photography Exhibit at Barrington Bank celebrating our mission of education, service and philanthropy.